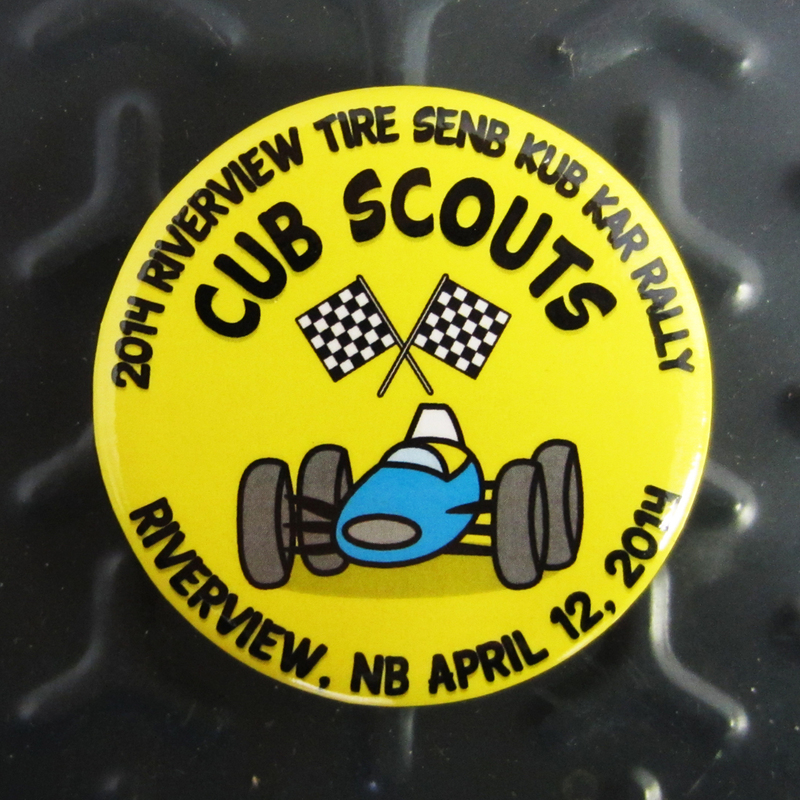 Beavers,Wolf Cubs and Scouts of Riverview, New Brunswick meet up April 12th for their annual Tire Senb Kub Kar Rally. We have been told the kids have been hard at work designing and building their Kub Kars and Scouts Trucks. Trophies will be awarded for Kub Kar 1st, 2nd, 3rd for speed and a trophy for best Kub Kar best design. Trophies will also be awarded for Scout Trucks 1st, 2nd, 3rd for speed and a trophy for Scout Trucks best design. It goes without saying that the annual Kub Kar Rally would not have been made possible without the assistance of local volunteers and businesses. Six Cent Press works with Scouts Canada providing buttons for numerous camps and programs throughout Canada.